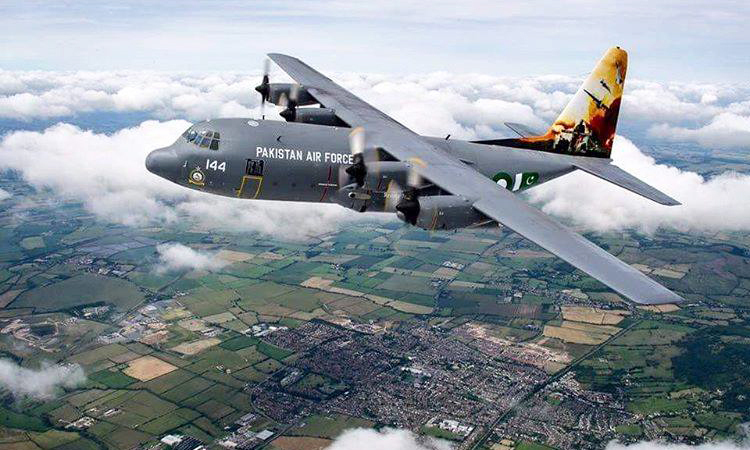 The PAF C-130 aircraft won the Concours D’ Elegance trophy for being the best aircraft of the Royal International Air Tattoo Show 2016 at Royal Air Force Base Fair Ford UK. 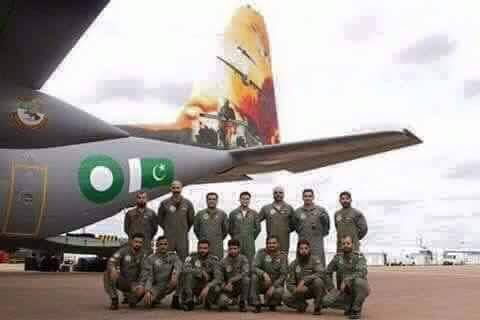 More than 50 nations with 200 aircraft from across the world competed for the coveted trophy; however, the PAF C-130 stole the show with its attractive Zarb-e-Azb theme colours. On the final day of the Show, Air Marshal Asad Lodhi, Vice Chief of the Air Staff, visited the venue and congratulated the PAF air and ground crew for winning the prestigious trophy and bringing laurels to the country. Talking to the PAF contingent, he appreciated their untiring efforts for achieving this honour and said that this great achievement would go a long way in projecting the soft image of the country across the world. The PAF C-130 continued to attract large crowds on the last day of the show as well and people tried to catch a glimpse of the display aircraft painted in Zarb-e-Azb theme. They were also briefed about the pivotal role of PAF in the success of the Operation Zarb-e-Azb against the terrorist elements in Pakistan. 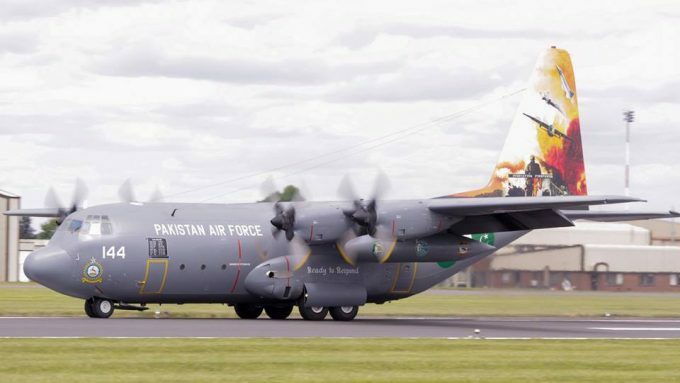 The PAF C-130 aircraft, which was specially painted to highlight the sacrifices of Pakistani people and the armed forces in the Operation Zarb-e-Azb, arrived at Royal Air Force Base, Fairford (UK) to participate in the Royal International Air Tattoo Show-2016. The PAF contingent consisting of air and ground crew participated in various competitions and events organised at the Royal International Air Tattoo Show-2016. 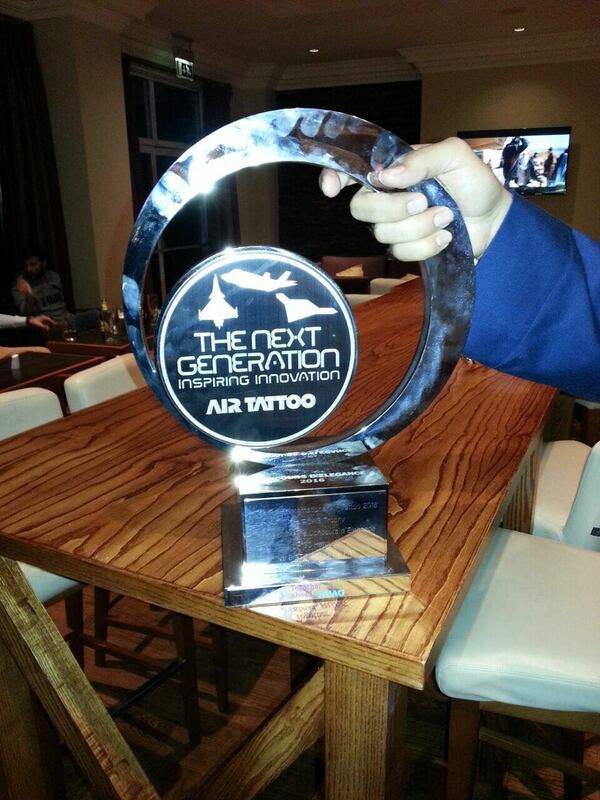 This is the second time that PAF has won this prestigious trophy as PAF C-130 had participated in this event in July 2006 as well and won three major trophies of the competition.